There are some foods in the world that get stuck in my head, like a song, but in a very good way. I think about them over and over, sometimes for several days, and eventually, I’m forced to break down and satisfy my craving, breaking the cycle of madness that torments my brain. 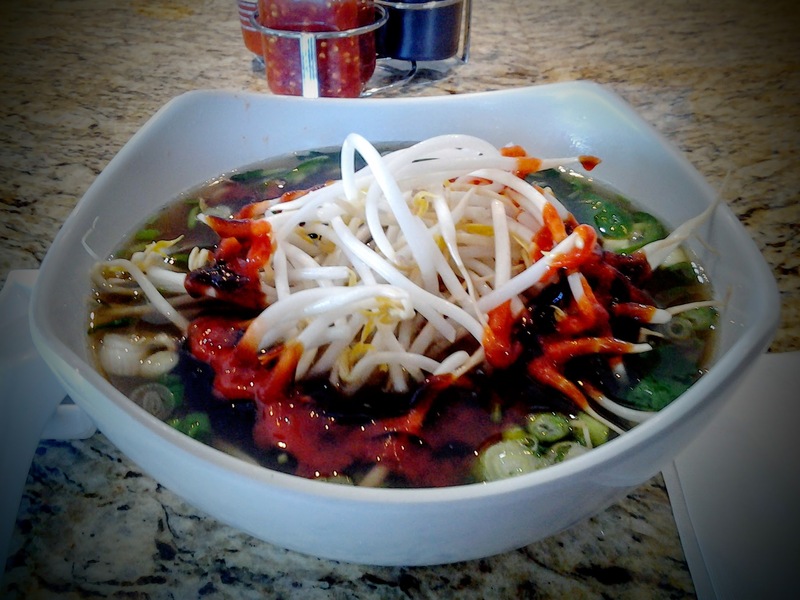 Pho is one of those foods, and in my opinion, the best in Sarasota is found at Pho 99. Pho (pronounced “Fuh”), is a brothy, hearty soup that originated in Northern Vietnam, somewhere around 1913. It has enjoyed status as a street food in Vietnam ever since. When Vietnam was split in 1954, people fleeing the North brought the dish to the South, where it is enjoyed today as more of a breakfast food rather than a meal eaten later in the day as is the case in the North. What makes Pho so magical is the broth. Anyone that has ever made a stock or a broth from scratch, even once in their lives, can attest to the care and love that goes into making one, and the results are a direct reflection of the time and attention that went into the preparation. Most Pho is made using either beef bones, or proteins like flank steak, or ox-tails. The bones are covered with water and simmered with aromatics often containing clove, star anise, coriander seed, fennel, cinnamon and black cardamom. Often times, onion and ginger are charred briefly over an open flame to increase the intensity of flavor, giving a richer color at the same time. Once the broth has been prepared, the soup is typically garnished with thinly sliced onions, scallions, cilantro or culantro, Thai chilies, cinnamon basil, lime wedges, bean sprouts and other vegetables, all elements, adding to the refreshing flavor of the pho. Pho is typically served with hoisin sauce, Sriracha, as well as chili paste. There are multiple proteins that you can add to pho. My favorites are rare beef, which is thinly sliced, and cooks in the steaming hot broth, as well as beef tendons (which are delicious if you give them a chance!). Meatballs, flank steak, and chicken are also popular additions. Pho 99 is a great place to go and have lunch or dinner. Simon is the owner and is always there to warmly greet guests and make his customers feel comfortable with what they are about to order. Pho 99 also has a modern, sleek atmosphere and very prompt, professional service. It is located at 5191 Clark Road, next to the BMW dealership. As of this writing, they didn’t have a website, but you can check them out on their Facebook page here. Please go visit Simon at Pho 99, and let me know what you think!